These photos are from northern Wales where my in-laws live. It is an absolutely beautiful country, even if it does rain quite a bit and is just a tad cooler than Texas - ha ha. It is so peaceful and just raw, natural beauty (with a few ancient ruins thrown in)! We flew over for Christmas a while back and to our shock, Christmas day was GORGEOUS! Warm (relatively), sunny (shocking) - just perfect for a hike up a hill (large hill but I can't think of any words for something larger than a hill but smaller than a mountain) while dinner was cooking. 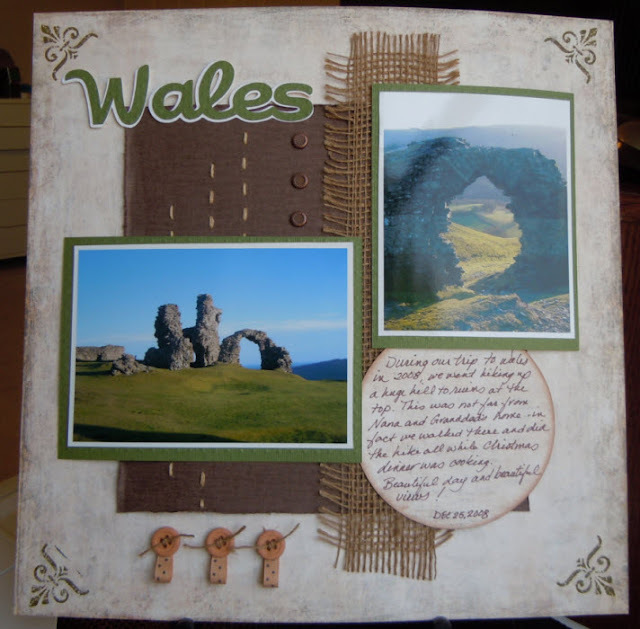 The layout is based on a sketch from the July Sketch challenge at Sketches4All. Defintiely check out the site - lots of challenges each month including a Bingo challenge I am hosting this month. Scrapping Everyday Miracles - #18 Beauty - what better way to describe the Welsh countryside! Fabulous layout. The burlap and buttons are my favorite. This is just beautiful Lisa. What a wonderful experience, those photos are divine. 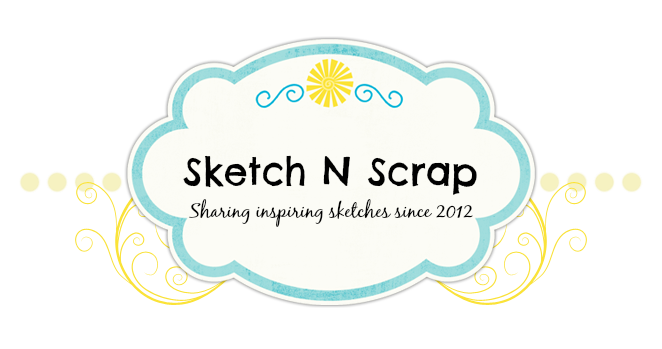 Thank you so much for joining us over at Scrapping Everyday Miracles. Love all the deets on your gorgeous page! Fab photos too! Thanks for joining the Pixies at Pixie Dust Studio! Beautiful view! Wonderful nature indeed! Love the way you have incorporated so much texture without making it so lumpy it won't fit in an album - like I usually do! Great job on this challenge...love the burlap piece, the buttons and the hand stitching. Thanks so much for joining us at SEM! gorgeous photos! Love the stitching :) Thank you for joining us at SEM this month! 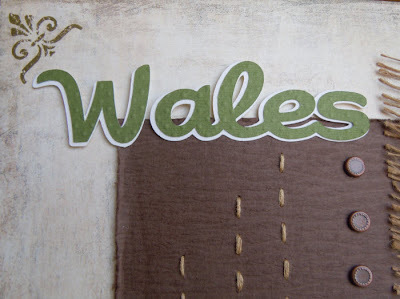 This is a wonderful layout and I too love the Wales! It is a wonderful place to visit- you did a great job recording your memory! Thanks for joining us over at SEM! I absolutely love the stitching, great layout! Thanks for joining us over at SEM!